Storm Collectibles presents its next release in the popular Street Fighter V action figure line – Alex! This fighter hails from New York and is one of the best wrestlers in the pro-wrestling league. He made his first appearance in Street Fighter III: New Generation as a main character. 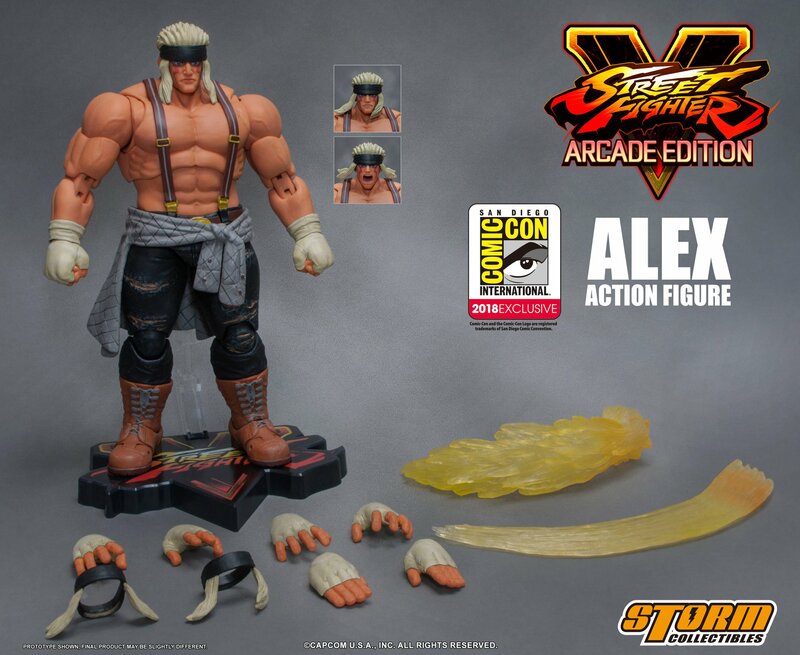 Differing from the classic appearance of his “Nostalgia” costume in Street Fighter V, the San Diego Comic-Con variant features Alex in an alternative grey and black outfit. The Figure Set includes multiple interchangeable head sculpts and hands, as well as Flash Chop and Flash Elbow effects and a display stand with Street Fighter V.